Are you losing the same weight over and over and then gaining it back over and over on weight loss plans that may work for awhile but not long term? What if you were to lose the weight for life? And get healthier at the same time? There are a ton of weight loss programs ‘out there’ — but how many focus on getting healthy at the same time? 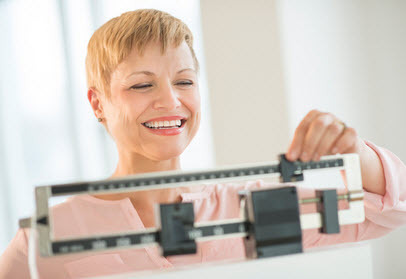 If you get healthier, you may be able to sustain the weight loss. Nutrition is a huge part of weight loss. How you feel when you are losing weight is directly related to how successful you will be losing the weight and keeping it off. What you feed your body determines how you feel. Your energy levels, your blood sugar levels, your mood or mindset, and your feelings of being satisfied nutritionally and feeling good are all so important to getting to your goal weight and keeping it. We want to tell you about Shaklee 180 because it is a proven weight loss program: proven to help you lose the weight you want to lose, proven to help you lose the fat you want to lose, and proven to help you keep the muscle you need to sustain your weight loss because muscle burns fat. We want to tell you about Shaklee 180 weight loss plan because, like all Shaklee products, it is based on foremost scientific research and designed to help you burn fat and retain muscle. The reason muscle is so important and such a big part of Shaklee 180 is because when many people are losing weight, they are losing muscle as well. When you lose muscle you struggle in multiple ways. Losing muscle slows down your metabolism and makes it easier for you to regain weight. They are NOT goals right? So the two things you want to understand about Shaklee 180 that set it apart from many other weight loss plans is that it’s about quality Nutrition and keeping Muscle. The foundation of the Shaklee 180 Weight Loss Plan is the Life Energizing Shake and Wow! we can’t say enough about this product. There is literally nothing like it on the market – anywhere. Remember that Shaklee is the #1 Natural Nutrition Company in America. If nutrition is essential to sustainable weight loss, doesn’t it make sense that the #1 brand should have a weight loss plan that works? The Life Shake helps increase your energy, while it gives you all the nutrition goodness of a full meal. You feel satisfied for hours – so there are no issues of being deprived or thinking about food because you’re hungry. You won’t be hungry between meals! One of the reasons you feel fuller longer is because it is rich in protein and has such great nutrition packed into your meal as well. The Life Shake is available in soy and non-soy formulas*. *There is now a VEGAN option for your protein shake as well – the leucine source is all vegan in this formula. It contains the prebiotics, but not the probiotics. You can use the Shaklee 180 Meal Bar as a meal in exchange for the Life Shake, but it is recommended to have a Life Shake for at least one of your meals because there is so much goodness in it. It is great for a meal-on-the-go! Each bar is full of healthy nutrients, including protein and fiber to help keep you feeling full. And that leucine we mentioned before helps your body retain lean muscle while you slim down. The snack bars taste like a sweet, guilt-free treat. They are loaded with protein and fiber,and can be used in between meals as a low calorie way to help you curb hunger and keep from munching on something that’s not part of your weight loss plan. Here is another snack option (with protein) if you are having some cravings and needing something crunchy. Snack crisps are baked to golden perfection with a hint of salt or tangy barbecue in every satisfying bite. Shaklee Energizing Tea is your alternative for coffee or sugar filled drinks. It is safe and natural and really helps with any slumps you may feel when you cut calories on a weight loss plan. This healthy tea gives you a quick pick-me-up when you need it. As an exclusive blend of antioxidant-rich green, white and red teas, as well as taurine, your energizing tea naturally boosts your energy and enhances alertness. It’s great in the morning or afternoon, and you can drink it hot or cold. No artificial flavors, colors or preservatives added. Here is yet another very unique part of a weight loss plan that has the research, science and development resources of the #1 Natural Nutrition brand. Metabolic Boost is a supplement that helps your body’s metabolism naturally helps your burn calories naturally and it is gluten free. It contains EGCG from green tea that is clinically proven to help you burn more calories. Chromium, vanadium, and banaba leaf extract help you retain normal blood sugar levels, which also help keep your energy up and your metabolism stay strong. When you choose a weight loss plan and really have a goal to lose weight and sustain that weight loss for the long term, there has to be changes in your life to support that. One change needs to be nutrition because what you eat ultimately determines your weight. 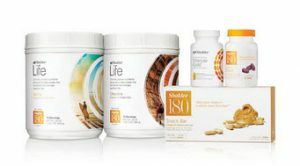 Shaklee 180 is designed to help you with that nutrition support so that it gives you the extra edge for success. You will benefit from some other changes as well. If you can add any kind of exercise into your life it will help your weight loss as well as helping you keep energized. If you include other healthy lifestyle choices such as getting enough rest, working on any stress in your life that may have contributed to your weight gain. These will help you develop new, healthier habits that all contribute to getting to your target weight and staying there. There is support included if you choose the Shaklee 180 weight loss plan. Information on weight loss, products and inspiration to help keep you motivated are available. All kinds of recipes for delicious protein shakes are shared. 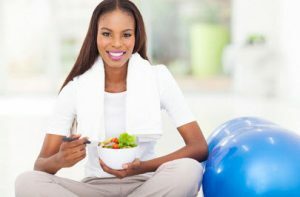 Plus we, here at AntiAgingByDesign.com, are here to help you get any questions answered, to discuss any part of the program, and to point you in the direction of any help you may need. To learn more about the Shaklee 180 weight loss plan, including an awesome deal on the Turnaround Kit, please click this link: Weight Loss Plan.